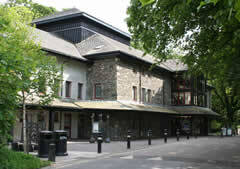 Keswick is fast gaining a reputation as the premier activity centre in the country. Here are just a few. 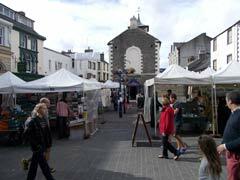 Keswick boasts a wide variety of independent shops, boutiques and galleries as well as the lively market in the town square every Thursday and Saturday. If you’re looking for outdoor gear you won’t find a better selection anywhere. Some of the finest pub grub going is on offer here as well as Italian, French, Asian and American cuisine. 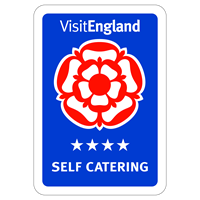 Plenty of cafes and teashops too, serving homemade cakes and scones. Town can get very busy, especially during the Summer and on weekends, so we recommend booking a table somewhere, particularly for your first evening. Just give us a call if you’d like us to help with that. A 10 minute walk from our doorstep the internationally renowned Theatre by the Lake is open throughout the year and is home to one of the last repertory companies in the UK with a full Summer season of 6 plays from May to November. There are major productions at Christmas and Easter and various concerts and events such as the famous Words by the Water literary festival in the early spring. Swiss Court is a theatre ambassador so ask about a discount if you’re booking tickets. The Alhambra is a charming Victorian cinema with daily showings of current releases and frequent live broadcasts from some of the top performing arts venues in the country. Every Sunday evening from September to March the enthusiast run Keswick Film Club brings the best of British and World cinema: high quality, thought-provoking films not often screened in the cinema chains. A great way to explore Derwentwater, Queen of the English lakes is to take a tour on the Keswick launch. Jump off at one of the stops for a walk or to climb Catbells, or just enjoy the 50 minute trip around the lake. How about enjoying the lake at your own pace by hiring canoes, kayaks, stand up paddle boards, rowing boats, dinghys or windsurfers. You could even take an official Royal Yachting Association course for Sailing and Windsurfing. Amongst the many attractions within the town are the splendid Hope park and Fitz park. 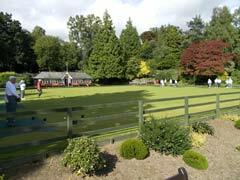 Admire the beautifully planted gardens which have helped to make Keswick a winner in the Cumbria in Bloom Competition year after year, or enjoy some of the relaxing games facilities, such as tennis, bowls or miniature golf. The highest peaks in England will challenge experienced hikers or walk the forest trails of Dodd Wood or Whinlatter Forest and view the Ospreys nesting near Bassenthwaite Lake. We have an extensive collection of guidebooks and maps for your reference and can provide detailed walking routes for some of the most popular hikes, graded by difficulty and duration. When the weather doesn’t cooperate there are 2 indoor climbing centres, one of which boasts year round ice climbing. It’s no wonder that the 2013 Tour of Britain included Keswick on its route, with winding country lanes and lakeside roads amidst breathtaking scenery and mountain passes for leg burning climbs and furiously fast descents. If you prefer to keep it ‘off road’ the purpose built mountain bike trails at Whinlatter Forest were voted 2nd best trail centre in the UK by readers of Singletrack Magazine. Mile upon mile of public bridleways are also here to be explored with the infamous “Borrowdale Bash” perhaps the best known route.